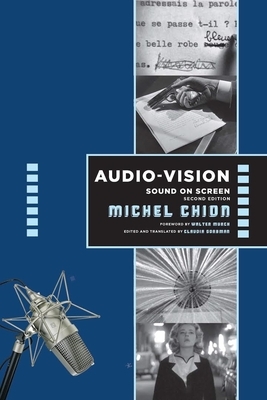 Michel Chion's landmark Audio-Vision has exerted significant influence on our understanding of sound-image relations since its original publication in 1994. Chion argues that sound film qualitatively produces a new form of perception. Sound in audiovisual media does not merely complement images. Instead, the two channels together engage audio-vision, a special mode of perception that transforms both seeing and hearing. We don't see images and hear sounds separately--we audio-view a trans-sensory whole. In this updated and expanded edition, Chion considers many additional examples from recent world cinema and formulates new questions for the contemporary media environment. He takes into account the evolving role of audio-vision in different theatrical environments, considering its significance for music videos, video art, commercial television, and the internet, as well as conventional cinema. Chion explores how multitrack digital sound enables astonishing detail, extending the space of the action and changing practices of scene construction. He demonstrates that speech is central to film and television and shows why "audio-logo-visual" is a more accurate term than "audiovisual." Audio-Vision shows us that sound is driving the creation of a sensory cinema. This edition includes a glossary of terms, a chronology of several hundred significant films, and the original foreword by sound designer, editor, and Oscar honoree Walter Murch. Michel Chion is an independent scholar, composer, filmmaker, and teacher. He is the author of more than thirty books on sound, music, and film, including The Voice in Cinema (Columbia, 1999), Film, a Sound Art (Columbia, 2009), and Words on Screen (Columbia, 2017). Claudia Gorbman is professor emerita of film studies at the University of Washington, Tacoma. She has written widely about film sound and music and has translated five books by Michel Chion. Walter Murch has been repeatedly honored by both the British and American Motion Picture Academies for his sound design and picture editing. He has received special recognition for his work in The Godfather, The Conversation, Apocalypse Now, and The English Patient.